Did the Public Protector misapply the law on Zille's tweets? 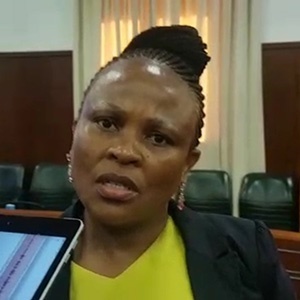 The Portfolio Committee on Justice and Correctional Services has agreed to wait for a reply from Public Protector Busisiwe Mkhwebane before deciding on whether to green-light a request to hold an inquiry into her fitness to hold office. MPs heard a motivation from DA chief whip John Steenhuisen on Wednesday, after a letter he wrote to National Assembly Speaker Baleka Mbete on the matter was referred to the committee. Steenhuisen told the committee that Parliament had a right to review the head of any chapter nine institution if prima facie grounds can be established for one of three reasons: gross misconduct, incapacity or incompetence. READ: Did the Public Protector misapply the law on Zille's tweets? He chose to focus on the area of "incompetence", highlighting high-profile court judgments against her in her ABSA/CIEX report, which found she acted "irrationally", "unconstitutionally", "with bias" and outside her mandate. "These are very serious findings, and speak to the competence and grasp of her mandate, and even the most basic interpretations of the law." Steenhuisen argued that the mistakes were not mere procedural ones, but ones that had serious ramifications for the economy and confidence in her office. Her recommendation that Parliament amend the Constitution to alter the independence of the South African Reserve Bank, for instance, resulted in millions of rands lost in government bonds. Her inability to grasp the "most basic principle" of separation of powers was evidence that "at the very least, there are sufficient grounds to hold an inquiry into her fitness to hold office". Steenhuisen said that the committee didn't have to make a finding on the matter on Wednesday, but there was no harm in green-lighting an inquiry, as it would protect Parliament from any future accusations of negligence. MPs shared mixed thoughts on Steenhuisen's submission. ANC MPs wondered how many mistakes warranted a full-scale inquiry, and pointed out that judges, parliamentarians and administrators all made mistakes. "If somebody makes a decision or makes a mistake, does it really mean that [we need an inquiry]?" ANC MP Loyiso Mpumlwana asked. "Should we not forgive a person and give them a second chance?" ACDP MP Steve Swart and DA MP Glynnis Breytenbach argued that the mistakes Mkhwebane had made were not mere irregularities in law. She had been found guilty of being "disingenuous", she said. 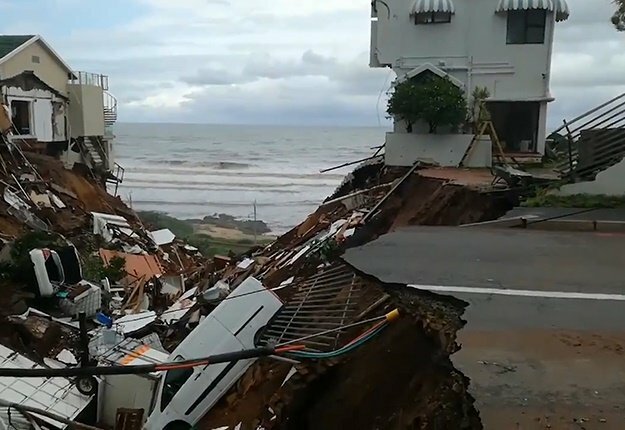 "That is more serious than a mere judicial review," Swart said. FF Plus MP Corne Mulder suggested it was well within the portfolio committee's mandate to decide on an inquiry. It also didn't need specific court judgments to establish whether there were grounds. Committee chairperson Mathole Motshekga ultimately said his preference was to err on the side of natural justice. In other words, he would like to give Mkhwebane a chance to respond to Steenhuisen's submissions before the committee decided. For now: "We can just agree there is a complaint, [but] there is no basis yet that we can say we have a Public Protector who is not fit to hold office." This despite Mkhwebane having appeared before the committee hours earlier, and having left before Steenhuisen started his submissions. Just before she left, Mkhwebane told journalists outside the meeting that the committee did not need her input before deciding to go ahead. Nonetheless, the committee will now write to Mkhwebane asking her to reply to Steenhuisen's submissions. Breytenbach asked for strict timelines to be set down, given that Parliament goes to recess for two months at the end of this week, and only resumes in mid-August. Motshekga replied: "We will wait until we have heard from her." The committee will then call another meeting to debate her reply.